Presented by the Sacramento Local Chamber Collaborative. 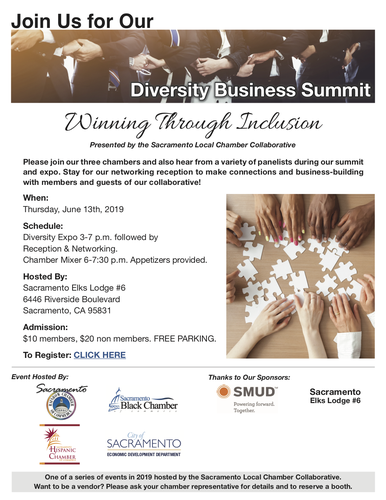 Please join our three chambers and also hear from a variety of panelists during our summitt and expo. Stay for networking reception.